Justice for an Undocumented Worker? Here’s an update on a case we recently blogged. Edgar Velasquez worked for Billy G’s Tree Service in Rhode Island. He sliced open his face with a chain saw (ouch!). When he tried to file for workers comp benefits, his employer fired him. Edgar was an undocumented worker. 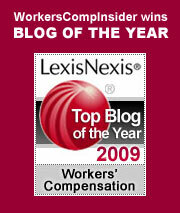 The employer did not carry workers comp insurance. Edgar, who lives in a remote mountain village in the state of Chiapas, has not received any further medical treatment for his injury. The scar on his face is still infected. Ho, Hum. Another immigrant worker screwed by an unscrupulous employer. End of story? Not quite. Billy Gorman has a few legal problems of his own. He is being sued by the state for running a business without the requisite workers comp insurance. And Rhode Islanders, who recognize a serious injustice when they see it, are raising money to return Edgar to this country – so he can pursue his comp claim, among other possible legal remedies against Gorman. Gorman’s lawyer, Michael St. Pierre, reports that Gorman has no assets to satisfy the claim, which exceeds $70,000 in medical bills alone. St. Pierre also says that Edgar may not have met the definition of “employee.” I guess he must have been an independent contractor. This entry was posted on Friday, September 14th, 2007 at 1:26 pm	and is filed under Business, Compensability. You can follow any responses to this entry through the RSS 2.0 feed. Both comments and pings are currently closed.